How can I set up printer, or the page at the directory printout? You can set up the printer, or even the page at the directory printout and the Windows printing options are also saved! 1.) ... Printer, or set up the page in front of the directory printout! 2.) ... Tip: When it comes to correct print (expression), not only for folder contents! 1.) Printer, or set up the page in front of the directory printout! This can be done simply by clicking on the "Page setup" or "Printer setup" icon in the print preview! Please use with Windows-10 ... the last version of Directory Print OK! (Image-1) Printer and the page setup for folder print! This screenshot has been snipped under Windows 10. However, you can use this example, solution without hesitation also for earlier older versions of Microsoft's Windows, with this tool is the directory printing easier then ever whether it's a Home Windows desktop Computer, to go on tablet-PC, Surface Pro / Go, or even a commercial office business server operating system. It has been tested on most MS-OS successfully verified. 2.) Tip: When it comes to correct expression, not only in folder contents! Not only when printing out folder contents, it is important to install the correct driver for the printer . In general, the wrong printer driver can cause page margin problems. The folder content expression also benefits from the correct driver, even if it is just text. In the Windows Device Manager, or in the Printers folder, you can quickly check it under all Windows operating systems. 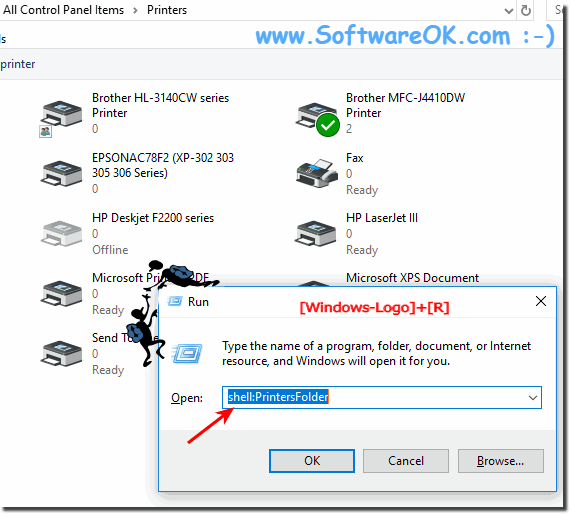 (Image-2) Printer folder on all MS-OS for a correct directory printout! (Image-3) Find the printer in Device Manager! 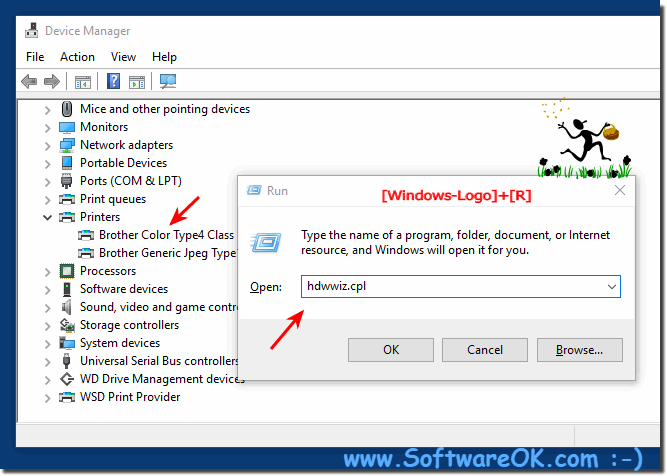 Before printing, it is important to set up the Windows printer or the page for the printout directory. Selecting the printer and page format is stored in DirPrintOK, so you do not have to adjust the page and printer customization each time, so it's very easy for the directory expression and very convenient, as you will not have to repeat the next directory expression Everything has to be set, do not be surprised, the new pictures of the screenshots have been made under Windows 10. These features are also available for all other Windows operating systems, such as for Win 7, 8.1 and older operating systems! 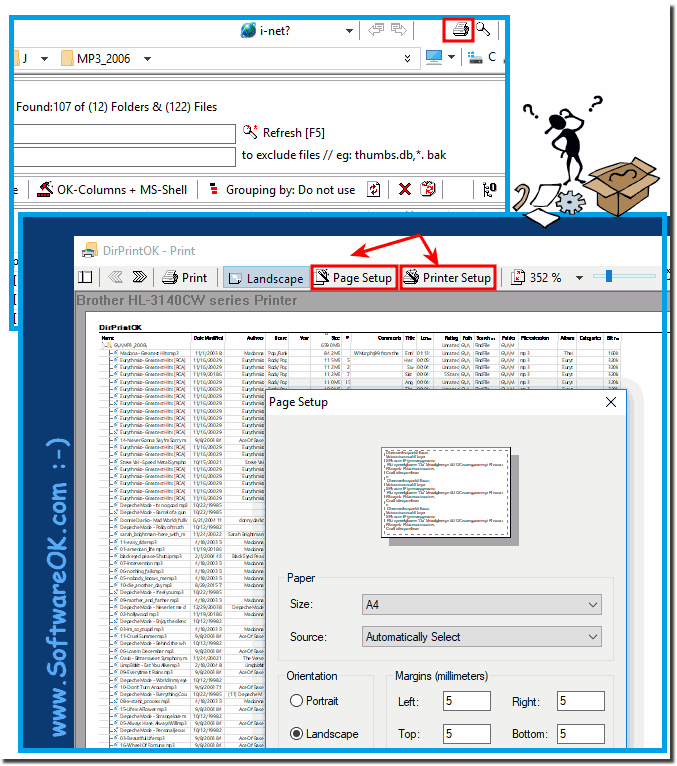 DirPrintOK - FAQ-2: How can I set up printer, or the page at the directory printout? When print set smaller font, so more of the directory tree fits on the page? Can I filter certain file types in the folder contents printing?